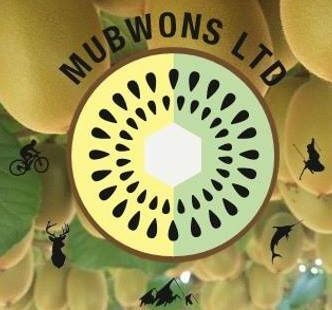 Mubwons Ltd specialises in Kiwifruit Contracting – our main focus is Harvest, Grafting and Flower Picking. Mubwons is a small family operation based in Te Puke, the self-proclaimed capital of New Zealand’s Kiwifruit industry. Scott has come from a long line of Kiwifruit Orchardists, with his Grandfather, John Kramer, being one of the earliest growers in New Zealand. Scott grew up working with his father, Robbie, and spent over 6 years picking with his gang before being promoted to tractor driver. Being a qualified Ski and Snowboard instructor, Scott spent over 10 years chasing the snow in New Zealand, California, Canada and Japan, and continued to work in the gang in between winter seasons, before returning to Te Puke to purchase his own orchard. After the outbreak of PSA, and the introduction of the new gold variety, G3 (sungold), Scott began to grow his grafting portfolio. After another few years, Scott branched out on his own. With substantial experience under his belt, he established Mubwons Ltd in 2014.From there, Mubwons has continued to grow. With the popularity of G3, Scott has developed his grafting capacity to cover over 50Ha. His partner, Chloe, has joined the business after 10 years as a physiotherapist, and now works with the picking gang as well as having established her own reputation for grafting seedlings. After recognising a gap in the marker, Mubwons began male flower picking in 2017 to compliment the grafting and harvest seasons.